A Belter sofa for $1.00? That is what it is currently bid up to with no reserve price. This Belter furniture pattern is sometimes referred to as “Simple” or “Scroll” due to the smooth simplicity of the carvings. We often see Belter’s over-the-top work and his simple pieces often go unnoticed without much fanfare. The reality is, these sofas in today’s market have a hard time making it to $1,200, which is around what I paid for mine a while back. This Rosewood sofa sports the Belter lamination process and you can see the resemblance to his Rosalie pattern, shown here with a rarer laminated Rosewood back. If you’re a fan of Belter but haven’t yet worked up the budget for a $28,000 Henry Clay pattern, then here’s your placeholder. For me it was a cost-effective way to add to my Belter collection as well as have another piece to provide a first-hand view of his impressive laminations. If you’re new to the site or are unfamiliar with John Henry Belter, start here with his Bio and shopping page, and then you can go through all the back posts here to see the full array of his work. Click on the image above to go to the listing for the sofa currently up for sale. Gorgeous sofa and I would love to get one like this for $1200. Belter stuff, like many other Victorian furniture makers, comes in a lot of price ranges, but the Belter quality is really the same with each piece, just less fancy. I have seen a few of these “plain” sofas in person and they are lovely and built beautifully. 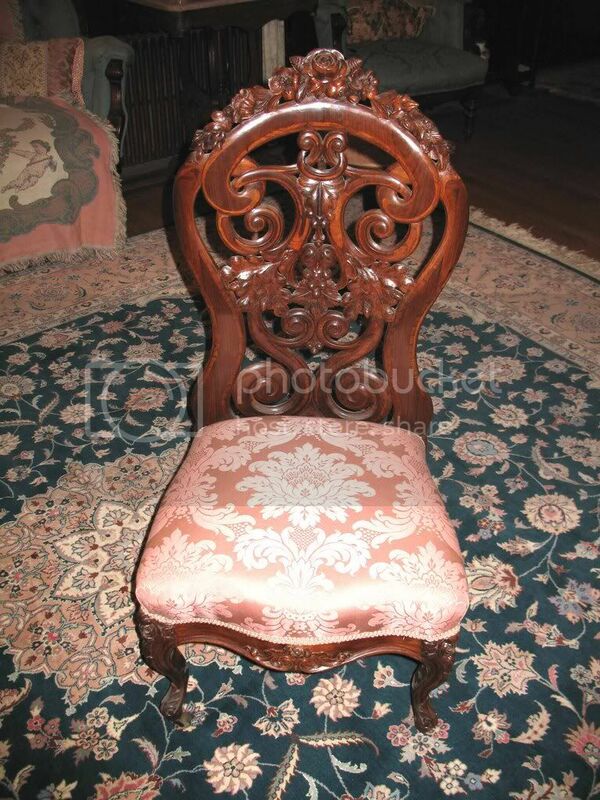 I think every collection of Victorian furniture should include one Belter piece. Mine is a slipper chair that i paid $900 for. It has very little practical use and pretty much is just an accent piece in our home.